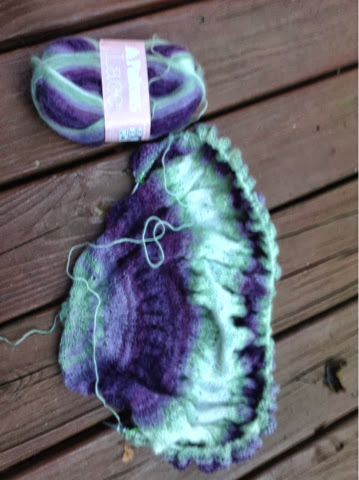 Knitting Dragonflies: How do you keep track of your knitting progress ? 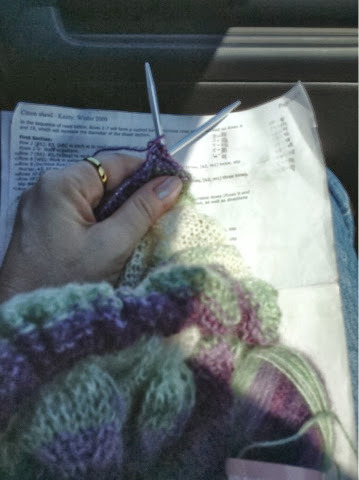 How do you keep track of your knitting progress ? Proof that I never know when I'll put down a knitted project, and leave it sit for hours/days/months or years! Here is the citron shawl, I stopped knitting in the middle of a row! Citron shawl is a great simple pattern, with rows of alternating increases & decreases along with stockingnet stitch, simple yet enough to give you some texture. How do you keep track of your progress? Coming along, only brought one skein with me! Mistake, so I'll be moving on to another project. Discovered I missed a decrease row, erg! Think I'll just keep knitting & see how it looks! That yarn is beautiful! I'm not sure what you mean by this word "progress." What is this word you speak of?